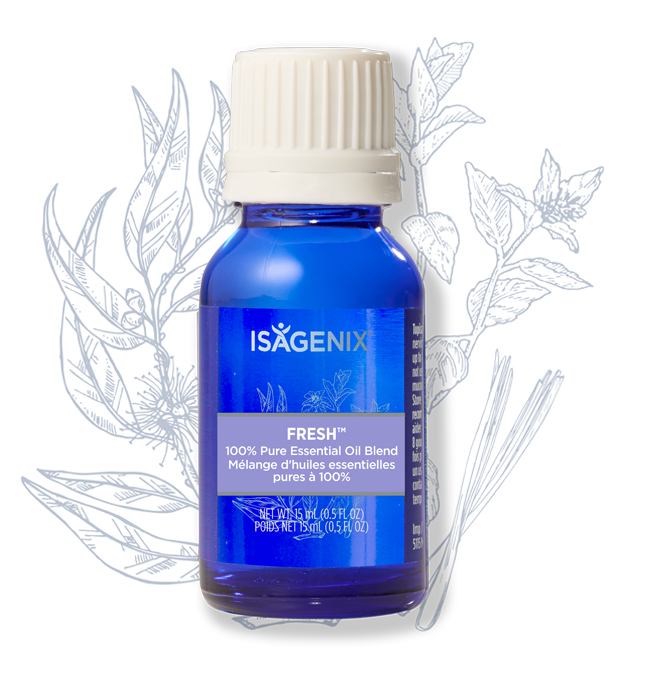 Isagenix Fresh is a proprietary blend of eight powerful and effective pure essential oils that emanates a fresh, minty, and airy aroma, and it provides easy breathing and clear airways. When used daily, Isagenix Fresh promotes restful sleep, clears nasal passages, eases sinus congestion, and shields against symptoms of seasonal threats. Isagenix Fresh is safe for topical and aromatic applications when used in accordance with manufacturer’s recommendations. This blended oil is not recommended for internal application without first consulting with a medical professional. Isagenix Fresh blended oil protects against seasonal colds, coughs, and flus, promotes clear airways, eases congested sinus cavities, and promotes restful sleep. Topical use of Isagenix Fresh safeguards against congested airways, enhances clear breathing, supports restful sleep, and calms nasal senses. 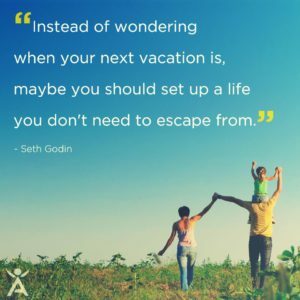 Aromatic use of Isagenix Fresh fills the air with a sweet, minty, fresh aroma that helps relax and clear airways, and it supports invigorating and positive breathing experiences. Internal use of Isagenix Fresh is not recommended without first consulting with a medical professional. Topical Uses: (a) Undiluted – 1-2 drops of oil rubbed on the chest and outside of the nose to clear nasal passages and sinus cavities; (b) Diluted – mix one drop of oil with 10-12 drops of the carrier Isagenix Essence Coconut Application Oil prior to applying to the desired body area. Aromatic Uses: (a) Put 8-10 drops of oil in the Isagenix Essence Aromatic Cool Mist Diffuser and place in the desired area for renewed air freshness; (b) Inhale directly from bottle to relieve sinus congestion and clear nasal passages. INGREDIENTS: Isagenix Fresh is a carefully formulated proprietary blend of essential oils that are effective for supporting clear airways, promoting restful sleep, and protecting against seasonal colds, coughs, and flus. The blended oils include: Eucalyptus, Grapefruit, Lemon Eucalyptus, Lemongrass, Peppermint, Rosemary, Tea Tree, and Thyme. PRECAUTIONS: Prior to the first application of Isagenix Fresh, test for possible skin sensitivity by applying oil to a small patch of skin prior to use on large skin areas. Keep out of reach of pets, small children, and infants. If taking medications, if pregnant, or if nursing, always consult with your primary medical professional prior to any health care changes. Avoid direct contact in the inner ears, on sensitive skin areas, and in the eyes when using any pure strength blended or single essential oil. How Do I Buy the Isagenix Oil Fresh?